A cashew harvest is a colorful affair. The nuts are ready for picking when the cashew apple – really the swollen stalk it grows from – is a vibrant red or pink. On the farm, the nut is removed from the ripe fruit, dried, and sent for processing before being shipped around the globe to become the delicious and nutritious snack we all know. Although cashew is mainly a cash crop in Africa – the second largest behind cocoa – the industry can be equally nutritive for the countries that produce it, offering great potential to improve rural livelihoods as well as provide employment opportunities through processing. 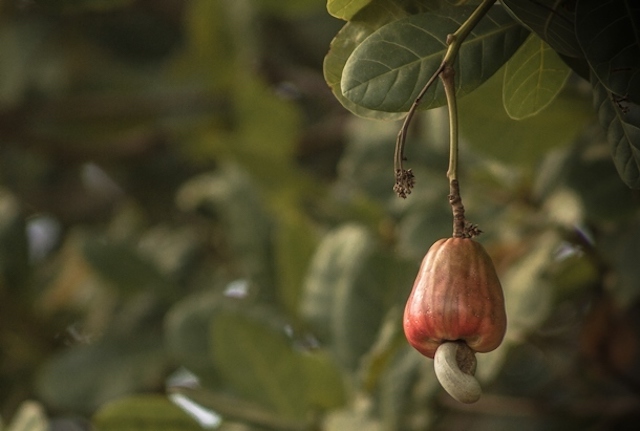 In Benin, TechnoServe is working to innovate the sector through the BeninCajù project, which helps cashew processors to raise their production levels and connect with lucrative markets, while creating jobs in rural areas where unemployment is high. 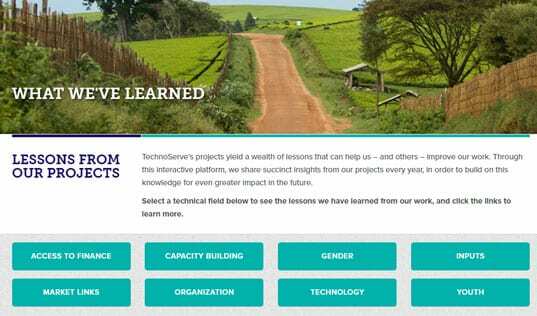 Over five years, this nearly $20 million project – a collaboration between TechnoServe, Catholic Relief Services and the U.S. Department of Agriculture – seeks to create close to 4,000 jobs in the cashew processing industry (70 percent of which are for women) and improve the incomes of almost 35,000 producers, representing a quarter of all cashew farmers in Benin. Nutritious cashew apple juice is now sold under the brand Sweet Benin. The project is also taking an innovative approach to improving cashew livelihoods by creating an entirely new value chain around a readily available, but previously overlooked, cashew byproduct: the same cashew apple that is discarded on the farm during harvest. Every year in Africa, more than ten million tons of cashew apples are tossed aside and considered waste, throwing out nutrients and economic opportunity along with them. A new value chain around such a prolific product has the potential to greatly increase the GDP of Africa’s cashew producing countries and improve livelihoods along pre-existing and potential cashew nut and apple value chains. In Benin, local entrepreneurs are working with TechnoServe to create Sweet Benin, the country’s first cashew apple juice label. Sweet Benin represents the formation of the first formal industry for cashew by-products in the country, but initial successes are promising. After working with TechnoServe to meet the quality and traceability standards to enter the formal market, four local partners are commercializing cashew apple juice under the label. TechnoServe staff also met with consumers to introduce the product, which is new for most buyers. Despite its novelty, Sweet Benin’s cashew apple juice is also already creating exciting impact at all levels of production. While less than 10,000 bottles were produced in 2016, the four processors under the label produced and sold out of 30,000 bottles in 2017 with TechnoServe's support. Based on this success, Sweet Benin is planning to produce 180,000 bottles of cashew apple juice in 2018. Such increased production means increased incomes throughout the community as well. Cashew farmers can now supplement their income with the sale of what they previously considered a waste-product, and Sweet Benin is already creating jobs further down the value chain. Of the 36 permanent positions in Sweet Benin’s juice production plants, 30 are filled by women, a precursor to the overall impact of a competitive cashew apple industry in Africa. By building the infrastructure for an entire new value chain around cashew apple, Sweet Benin is positioning itself as a leader for change, not only for participating entrepreneurs, but for the prosperity and productivity of cashew-producing nations across Africa. While the current yearly harvest of African cashew apple has the potential to yield 5 million tons of juice and pulp, much of this is either unsuitable or inaccessible for proper processing. The implications for increased production such cashew apple products go beyond providing new incomes and industries in which communities can thrive economically. 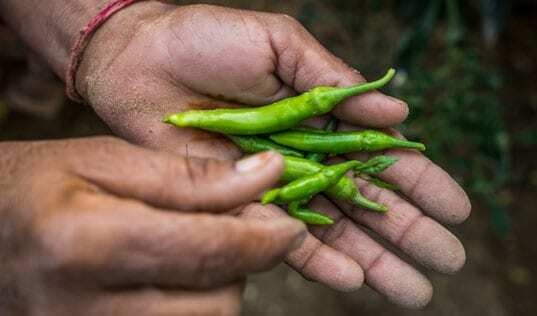 Hidden hunger – a form of undernutrition caused by micronutrient deficiencies – affects millions of people in sub-Saharan Africa, and can lead to lifelong consequences and increase the risk of impaired development and diminished productive capacity. 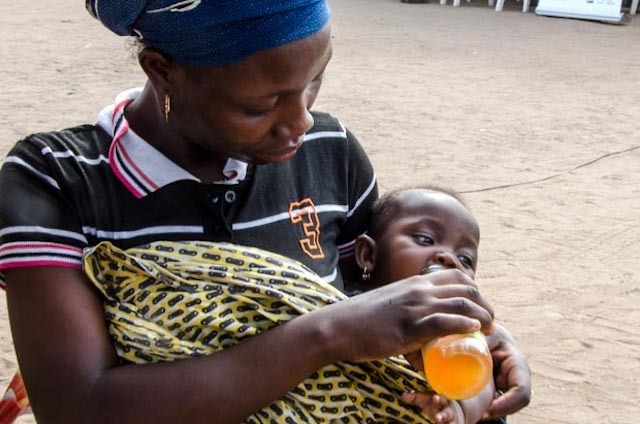 Initiatives like Sweet Benin, however, demonstrate that resourceful use of existing but underutilized industries and products can help communities improve nutrition while providing them with healthy livelihoods. By processing and consuming the cashew apple that is currently being grown and discarded, Africa’s main cashew-producing nations could signficantly boost their vitamin C intake, in addition to substantially increasing access to antioxidants and minerals that are necessary to prevent undernutrition. The opportunity is even more impactful when turned towards ending child malnutrition. Many are taking notice of the work being done with cashew apples by these enterprising people. At a July Sweet Benin shareholders meeting, Will Rabieh from the United States Department of Agriculture, stated that if cashew apple juice was sold in the United States, he would buy it. He left attendees with a few words of encouragement, Sweet Benin juice is great: please keep producing! 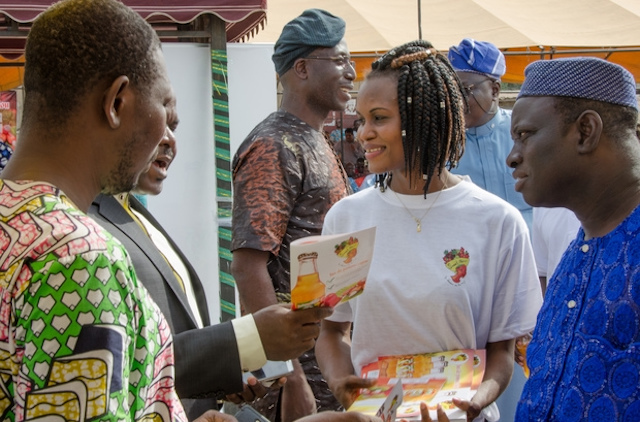 With a pending trademark, Sweet Benin is positioned to serve as an international standard of cashew fruit juice, and of the hopeful future that this blossoming industry could hold for cashew-producing communities around the world. Read more about TechnoServe’s work with cashew and its byproducts.